Through the five-track EP, the ambitious band effortlessly combines anthemic arena-pop hooks, breezy EDM sounds and energetic guitars.Massive and unapologetic, Planet Case is comprised of university students Aleksi Yli-Sissalaon vocals, Aapo Hakalaon drums, Otto Nyyssöläon bass, Teemu Hakala on guitar & keys and Tuomas Kätkänahoon guitar. 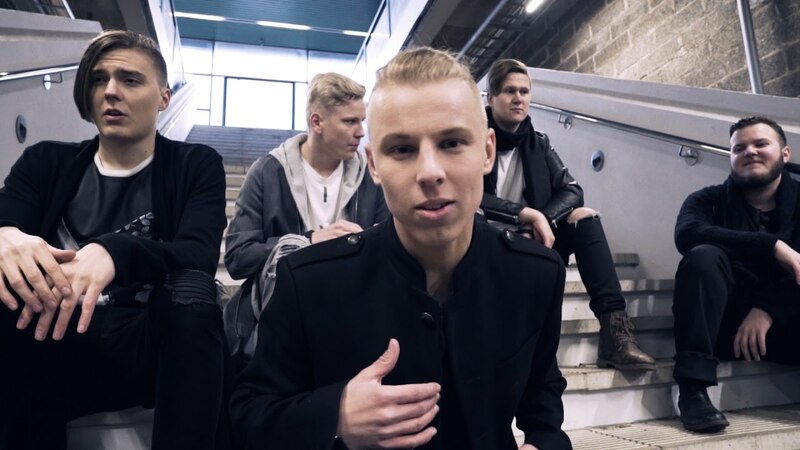 Second track and lead single ‘Same Old Blood’is a cleverly written and produced coming of age song, which features a twelve-singers choir adding a new dimension to the anthemic hook, the band worked again with Aki Sihvonen creating a future hit single. Elsewhere ‘Industrial Dust’, which in the band own words“represents the artificial things in life, the commercialism affecting our world and all the false mental images it creates”, was inspired by personal experiences as well as the band’s frustration with vexatious advertising on social media. Bringing together a fresh take on alt-pop-rock and EDM anthems, Planet Case sit somewhere between the giant stadium power-rock of Imagine Dragons and the uplifting production palette of Matoma andThe Vamps collaborations, making them Finland’s most promising new band. Having already gained support across key Finnish national radio, as well as notching up memorable live performances, including a sold-out show at The Circus in Helsinki, as well as some of Finland’s biggest music festivals including Lost in Music and last year’s Provinssi, the band is now ready to debut their live show on the international circuit.